Like many of you out there, I’m a coffee lover. It’s rare that I don’t start my day with a fresh fruit & vegetable smoothie and then a cup of coffee out on my back patio as I welcome the day. Occasionally, I would like to get out and enjoy a cup, along with great conversation, in a coffee-house with great atmosphere. While there are a few Starbucks in town, located within other establishments, along with friends and co-workers I have often lamented the fact there isn’t a standalone shop with great tasting coffee and a great atmosphere here in our small (population ~ 45,000) southeastern Arizona community. Recently, into that void stepped Broxton’s, an independently owned small business. This full service coffee-house and bakery began their journey in 2010 at the local community college, Cochise College, and recently established a standalone shop. In addition to longing for a great coffee shop with a great atmosphere, I was thrilled when I first noticed the new shop for a couple other reasons. First, it’s located in the same plaza as the gym the wife and I attend. Grabbing a cup of coffee or chai tea latte after a good workout just got easier! Second, I love the idea of supporting local small businesses. I mentioned those Starbucks in town and wanted to know what he felt set his shop apart from them and other places where people can buy coffee? “My shop has a distinct flavor different from bigger companies. We use a small batch roaster within Arizona. We also have unique drinks that only we do. 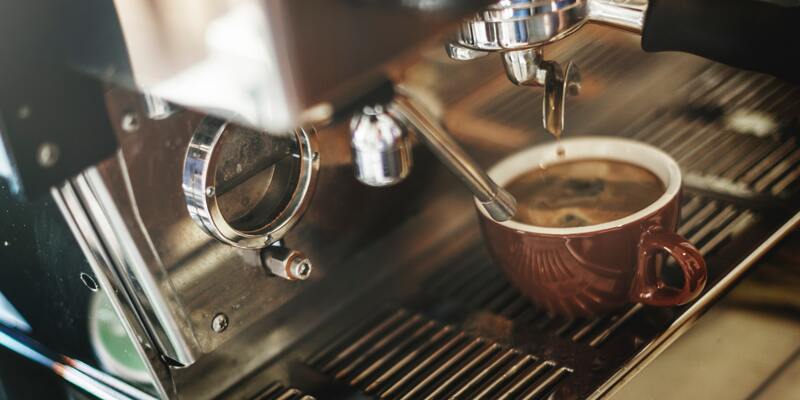 Plus, our baristas are great and have wonderful personalities.” When I asked how he would describe his coffee shop to someone who had yet to visit, he offered the following: eclectic, relaxing, and sociable. Small business, an independent business having fewer than 500 employees, really is big business here in the United States. According to the U.S Census Bureau, small businesses make up 99.7% of U.S. employer firms, 63% of net new private-sector jobs, and 48% of private-sector employment. When I asked George what would be his advice to someone considering opening their own small business, he suggested they first work in the industry. Succinct, but solid advice in my opinion. I would guess that a high percentage of failed small businesses fail because the owners didn’t have a firm understanding of all the factors that can impact delivery of their service or product to customers. Unfortunately, too many Americans frequent the large chain stores without considering their local merchant or other small business options; and small businesses are often overlooked for all the wrong reasons. Customers assume the pricing will automatically be higher at a small business compared to a large, corporate owned business. If you live here in the SV area, and you’re a coffee drinker, check ’em out. When I asked George what was the best part about running his own small business, his reply? “Seeing a place where both employees and customers are connecting.” Indeed! Wherever you may live, give your local small businesses a chance to earn your business.